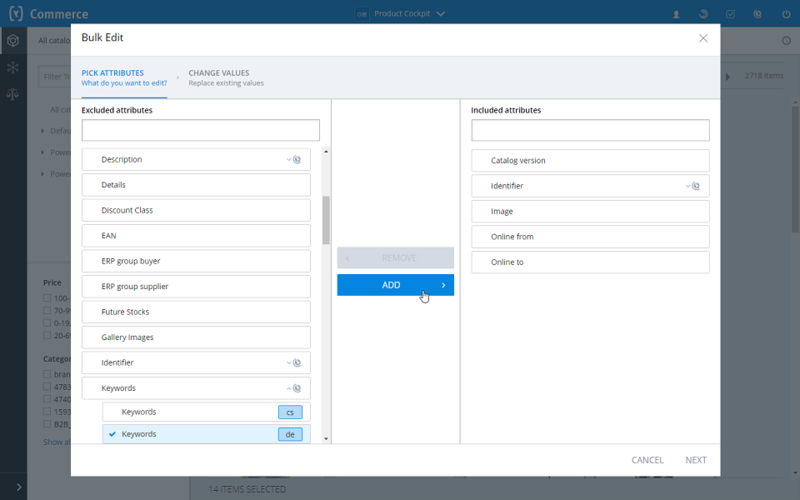 What is new in SAP hybris 6.7? Facet values and Sorts. Both facet values and sorts can be promoted, excluded or reordered. All this can be configured for the search profiles (and all these features are supported by personalization). You can view and configure the facet values for each facet as well as promote or exclude facet values from the facet. 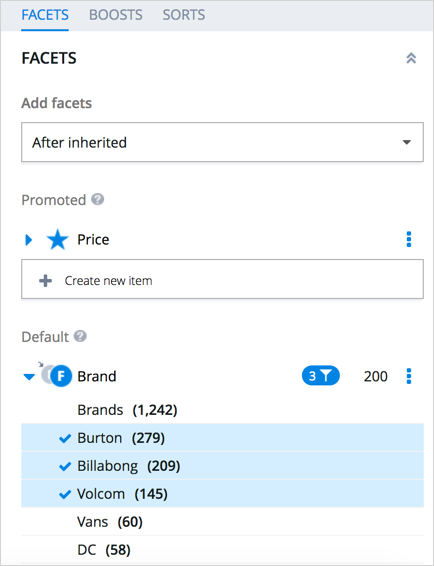 You can define different sorts for categories available in the Adaptive Search Perspective and use them directly on the storefront. You can promote and exclude them as well as revert them to default ones. Previously it was not possible out of the box. Starting from 6.7, the Commerce Search Module will be deprecated, with the functionality it offered fully covered by Adaptive Search. 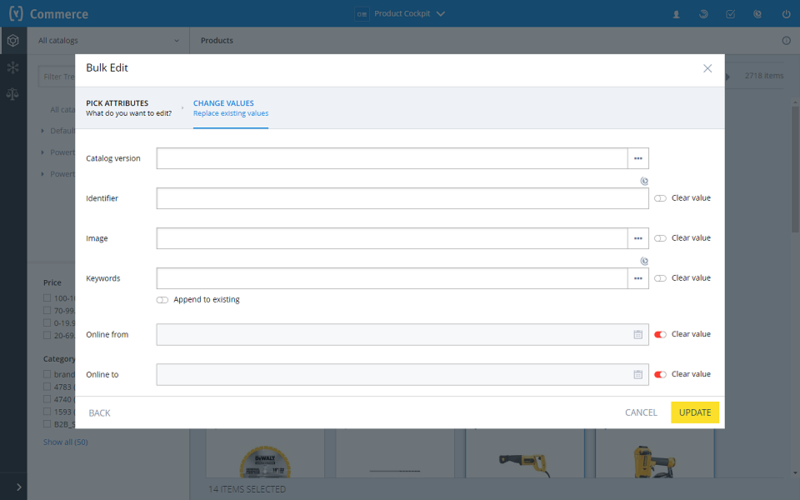 Mass Data Editing: With this feature, you can do bulk edit operations on more than one product. For example, bulk approval and assigning certain products to a different category at once. Bulk Operations on Products in Workflows: Bulk operations have been also introduced within workflows. You may do bulk edit operations and you can export and synchronize the products within your workflow task. Import Medias with Microsoft Excel Import: Uploading medias to the Backoffice PCM became a lot easier. You can create your own directory structure that includes images and other medias, zip the folder, and import it along with your product data via our Excel import feature. You can simply reference the images based on your own folder structure in your Excel sheet. Compare View: With the new Compare view you can select more than one product and compare them side by side in a read-only mode. 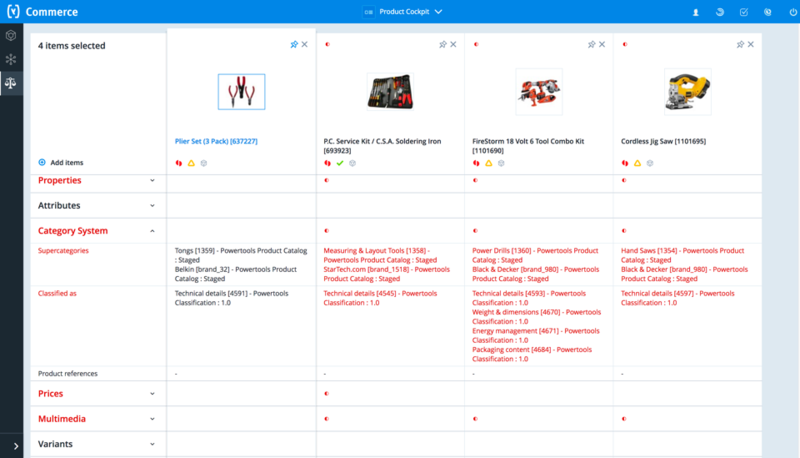 You can also head directly to the edit view of a specific product from the compare view, along with a pre-populated list of all the other compared products. 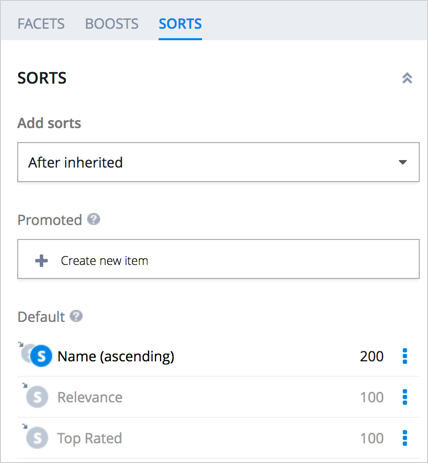 SAP Hybris Promotion Engine allows you to create and manage dynamic promotions. IT was introduced in hybris 6.0. Rule Group Exclusivity: The successor to the Stackability feature. Stackability has been deprecated and removed from hybris 6.7. You can configure a rule group to be exclusive or nonexclusive. In an exclusive rule group, at most one rule is triggered. Order Entry Consumption: As promotions use order entry items, the same promotions consume these items. When a promotion already used an item, the engine prohibits other promotions from using the same item. In previous versions of the Promotion Engine, the concept of order entry consumption was unavailable. This allowed multiple promotions to use the same order entry. Rule Publication Queue: The queuing mechanism for publishing rules. Now multiple Marketeers can request the publication of promotion rules. When you publish promotion rules, the Rule Engine creates a cronjob and a trigger. The cronjob locks any participating rule modules and performs the rule publication. If another cronjob is already publishing to the same module, the second cronjob gets rescheduled. This enhances scalability and streamlines the administration when multiple users are operating the rules and publishing them. SAP Hybris Data Hub is a powerful data integration and staging platform that comes with SAP Hybris Commerce. It facilitates the loading of large amounts of data from one or more sources. Publication and composition auto-recovery. This feature allows Data Hub to automatically recover the inactive processes. Pending composition and publication action improvement. Data Hub limits the creation of pending actions for both compositions and publications. After this change, there is never more than one PENDING composition or publication actions per pool (and target system combination for publication actions). SmartEdit is a content management module delivered with release 6.0. The module provides a tool for managing web content in addition to the WCMS cockpit. In Hybris 6.7, SAP added Cross Origin Resource Sharing (CORS) support for SmartEdit. Implementation partners may want to have their Site storefront reside in different cluster or domain than the SAP Hybris platform. The addition of CORS support makes it possible for SmartEdit to interact with the storefronts that reside on different domains OOTB. SmartEdit has a major component “Personalization“, which evolves and matures with every new version. Improvements for better information on inheritance and context. Help texts, context tips etc. Storing segments in session for better performance. To reduce the risk of an impact on performance in the case of frequent synchronous updates, there is an option to store segments in session and save them to the database at the end of the session. Multi-Step Process Execution. You can configure a business process to execute multiple steps in one transaction. This improves the performance of the task engine by limiting the number of tasks. You also save a couple of database round-trips as there is no scheduling needed. Possibility to Turn Off Storing Logs in the Database. You can configure the task engine so that it doesn’t create or store logs in the database. This feature is intended for customers who already have other logging solutions and don’t need logs in the database. Possibility to Plug-In Custom Scheduling Strategy. You can plug in your own strategy for providing tasks and conditions to be executed by the task engine. The parallel web application startup is enabled by default. Number of queries executed against the database during startup was reduced (strategies for loading the type system). Number of jars inspected by Tomcat during the TLD and pluggability scanning can be limited too. Disabled the loading of the BeanInfo and Customizer classes. As a result, less time spent on loading non-existing classes. Cache to prevent the loading of non-existing classes more than once. Spock support. Spock is an optional framework for testing your code with Unit and Integration tests. SAP Hybris Commerce 6.7 now provides the libraries of the current groovy and spock versions, as well as specific Hybris classes for easier testing. Cache utilization improvements. SAP has changed how prices are selected for given criteria. To avoid cache pollution with unnecessary data, hybris 6.7 queries for key attributes only, and based on them, loads the relevant prices only. References as classification attributes. Earlier, hybris Platform supported only the primitive types and enums. Now, you can set the reference types as classification attributes. Flexiblesearch hints. This feature allows you to adjust the final query executed by FlexibleSearch. Page data by page, or product, or category, or catalog. Contains a list of CMS content slots, each of which contains a list of CMS components. Component data by component ID. Component data consists of fixed properties (such as catalog version) and properties unique to each component. You can get multiple components in a single call. Auto Pick Functionality. Auto Pick functionality has been implemented with Bundles in which certain Products get added to the Cart Automatically. For Example, for “Smartphone” bundle, the child bundle “Smartphone – Internet Package Component” is set to “Automatically Picked” with Required Components set as “Smartphone – Service Plan Component”. Compare View Widget. Developed primarily for Product Content Management. In PCM backoffice, there is a product comparison feature. Multi Drag and Drop File Upload Editor. Admin/Nimda Clean Up. In 6.6 admin became a member of backofficeworkflowadmingroup, and in 6.7 the user has been excluded from the group. From 6.7 admin became a member of backofficeadministratorrole instead. The change may limit the admin if backofficeworkflowadmingroup has been given any non-standard access. Breadboard Widget Access Change. In 6.7, breadboard mode is available only in the Backoffice Framework development mode. Exposes RESTful endpoints that allow you to jump-start a message center solution on the fly, which allows customers to raise queries and agents to process the issues by engaging in online conversations. Allows customers to retrieve, and set notification preference such as Site Message, SMS and Email. Allows customers to check customer coupon notifications, and back-in-stock notifications in the form of site messages. China Accelerator: Storefront APIs for OCC: Allows customers to perform storefront operations using REST APIs, such as tracking consignment status, managing back-in-stock notification subscription for a product, etc. Get consignment tracking information, see Consignment Tracking API. Get back-in-stock notification preference, add, update, or remove back-in-stock notification subscription for a product, see Back In Stock Notification APIs. Get product interest list, and remove product interest for a specific product, see Customer Interests APIs. Order Replication: A B2C customer can place orders for the digital subscription products in the Hybris Commerce storefront and these orders are replicated to SAP Hybris Revenue Cloud. For each line item in the order, a subscription is generated in SAP Hybris Revenue Cloud. Where is the telco recipe?